On CentOS 7, R is available to be installed using yum via epel package repository, so we need to add it first. Can look for the latest available version here. 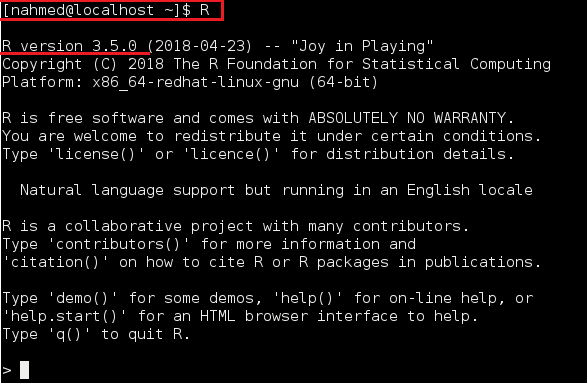 This will also install a command-line utility ‘rstudio-server‘, can be used to check the status, or any active sessions, and more. In case you’re installing it on a server (no GUI), you can use RStudio via browser, by opening the port RStudio is running on (8787 by default). For a GUI machine, just open the RStudio at http://localhost:8787, the following screen will appear, use the username and password you have used for installing the RStudio (sudo user). The dashboard has code editor, debugging and visualization tools. CRAN stands for Comprehensive R Archive Network, has list of URLs from where R packages can be installed. Available CRAN mirrors. 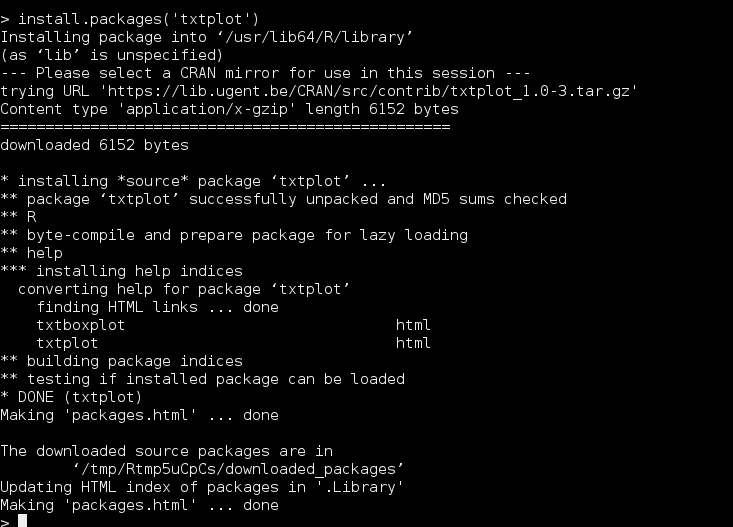 It’s a good practice to launch the R console as root user (using sudo) in case of installing a package. You”ll be prompted to select the mirror i.e. location you need to download from, the nearer the better, to minimze latency.